Sold by Ikon Goods and Fulfilled by Amazon. 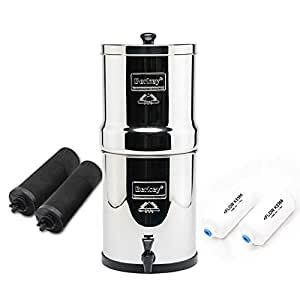 The Berkey BT2x2-BB Travel Berkey 1.5 gal. 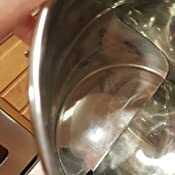 Sold by DistrictSale and ships from Amazon Fulfillment. 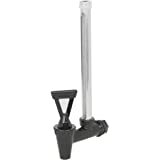 The Travel Berkey holds 1.5 gal. and is made of stainless steel water. This purifier is perfect for the avid camper or outdoorsman. It filters fresh water completely of harmful contaminants. No Electricity Required. 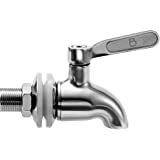 With the Travel Berkey stainless steel water purifier there's no electricity or water pressure required for use. 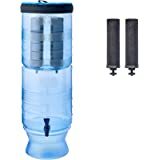 Simply fill the container with the water you want to treat, the filter makes untreated water drinkable. 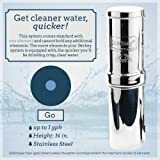 This Travel Berkey stainless steel water purifier is compact in size so it's easy to pack and carry. If love backpacking and outdoor activities, this is a must have. 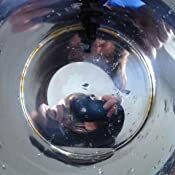 It purifies untreated water from ponds, streams, and lakes making it free of pathogenic bacteria, cysts, and parasites. 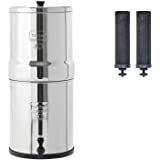 Serves 1-3 People the Berkey water purifier filters water for 1-3 people and for anyone who doesn't have a lot of counter space or lives in a small apartment. 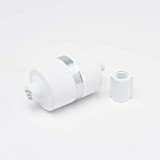 It filters effectively and yet it's small enough to be used anywhere. High Capacity Filtration. 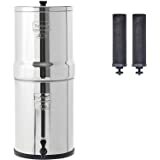 This travel Berkey stainless steel water purifier is capable of filtering up to 2.5 gallons of water per hour. 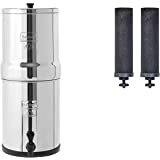 Featuring 2 Black Berkey filters and 2 Fluoride filters, this option extracts harmful chemicals, bacteria, and parasites and much more from untreated water. 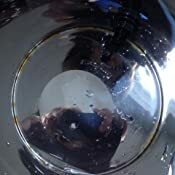 Includes 2 Black Berkey Elements: These elements purify the water and have been tested by State and EPA accredited laboratories to exceed NSF/ANSI Standard 53. 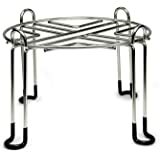 Made and assembled in the USA, and Warrantied. 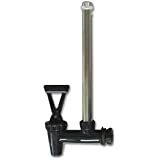 Includes 2 Fluoride Filters: These filters absorb Fluoride, Arsenic, and other heavy metal ions in the water. 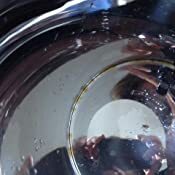 They attach to the Black Berkey purification elements. Made and assembled in the USA, and Warrantied.